Winter K2 Attempt Over – Can It Ever Be Done? 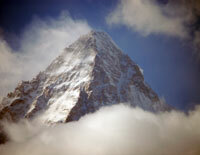 $130,000 for an Everest Climb? You bet. With all that Seven Summits offers it is a deal! Hmm, for that price I would go with a foreign company like Furtenbach, Alpenglow, Adventure Consultants or IMG. Yes, I want to climb Everest but not at that price.